For plumbing installations or plumbing repair in NJ, rely on the certified technicians from Bogush Inc.! Our technicians work around the clock, making themselves available to customers 24/7. 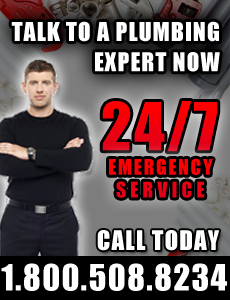 With an immediate response time to all emergency calls, you will not even have time to be concerned about any issues you may be having with your plumbing. As New Jersey plumbing repair and installation specialists, we guarantee complete, thorough services and affordable prices that are guaranteed to satisfy all of our customers. Whether you require NJ plumbing repair or installation, contact Bogush Inc. for more information. Call 1-800-508-8234. At Bogush Inc., we pride ourselves on offering the fastest service in the industry, and we stand by this commitment with a promise of safety and accountability to our employees, as well as reliability and quality to our customers.